Basic messages includes your “Get Started” message, “Greeting Message”, “Default Message” & “Small Talk” features. These messages perform different functions which your bot sends to your user on different instances. 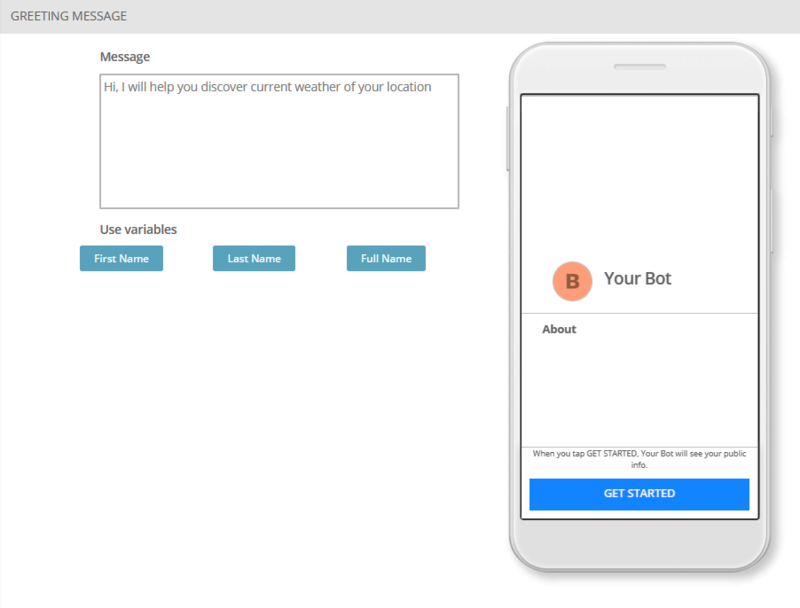 Let’s get into the step by step guide on creating basic messages for your chatbots. On the left side, click on “Chatbot AI”. 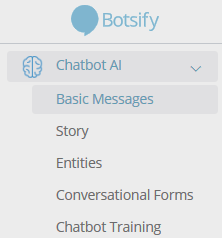 The dropdown will show you “Basic Messages” option; click on the Basic Messages button to set up some of the basics of your chatbot. 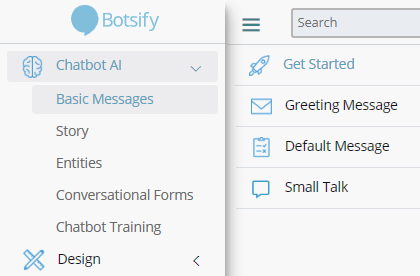 Once you click on Basic Messages another slider will appear which has 4 different options, namely; “Get Started” “Greeting Message”, “Default Message” and “Small Talk” feature. The “Get Started” button can be setup to do one of the four available actions; to send a singular message via the chatbot, to start a story conversation that has been set up already, to use a media block that has been created or to integrate a plugin. The “Greeting Message” is a regular greeting message that will be sent when a user interacts with your Facebook Page. 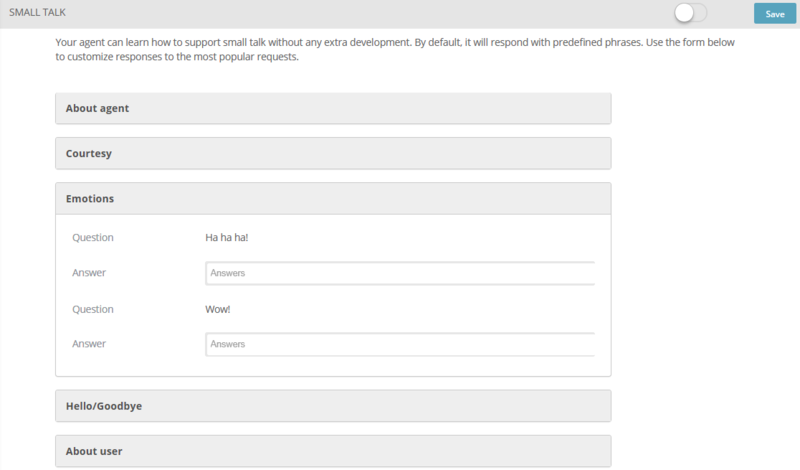 Insert whatever message you want in the box and select how the chatbot should greet the user i.e. either by saying hello or any other message. The “Default Message” is the message that is displayed when a user’s response is unexpected or not similar to one in the story you have selected and your chatbot fails to answer the user. This can be changed and has four options, namely; sending a normal message via the chatbot, starting a story via the chatbot, using a media block or for starting a plugin. You can teach your chatbot to support small talk with no extra development. If you wish you can enable small talk and customize responses to the below mentioned sections of small talk. By default your chatbot will respond with predefined phrases and customization is disabled. These are the Basic Messages that one must be familiar with when setting up a chatbot on Botsify.